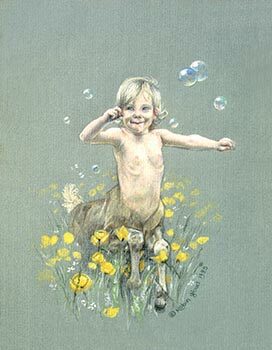 A picture of a baby centaur chasing bubbles in a meadow full of yellow poppies, from 1985. I had this child's mother, Leslie, over to pose for What a Knight, and the toddler, Ramona, was such a cutie that I just had to have her pose for something as well! This picture is the closest I have ever come to an expression of pure joy! The original is in Prismacolor Pencil on Canson MiTentes paper. 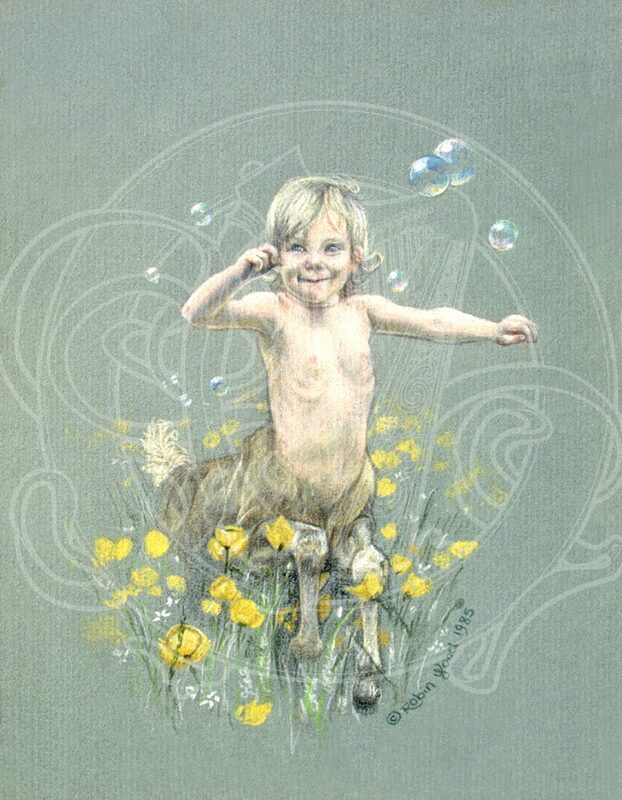 This print is available from my Zazzle store. If you'd like it on something besides a print or poster, please drop me a note, and let me know. I'll be delighted to put it on anything you want. Thanks!